Thanks to State Senator Ricardo Lara California is now considering a bill to provide universal healthcare to it's residents. 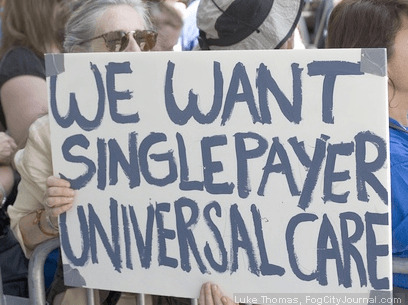 The forces of the status quo are screaming that the overall cost of universal healthcare is too high. However if we look beyond the headlines the additional funding to provide universal healthcare is achievable by the Golden State. News sources as of late have focused on the overall cost of the bill , $400 Billion, but fail to report that California currently has over half of those funds already in place in it's annual budgets. The leadership that Sen. Lara continues to provide on this initiative can prove to be successful and historic. Read beyond the headlines by clicking here.